No Annual Fee card that pays 1% of all your purchases, this is $100 back on every $1,000 spent - Sounds like a good deal. More importantly, there is no requirement of $70,000 annual income or $120,000 household income to qualify for this card. We all heard the expression Cash is King and who would say no to getting cash back every time you make a purchase? It's like receiving a discount on everything you buy! 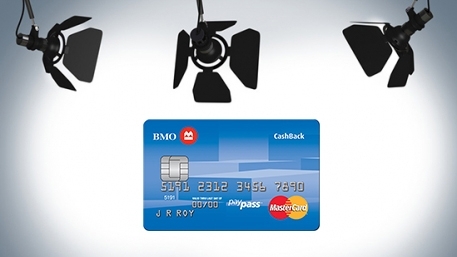 Since the BMO Cashback credit card is a MasterCard, it means that it's widely accepted including at all Costco locations. As with any credit card, it's important to weigh up the pros and cons. • There are no limits to the cashback that you can earn on your credit card. • Cardholders earn 1% cash back on all purchases. So, if you spend $ 2000 per month on your card over a year, you will earn $240 cash back at the end of the year. • Cardholders enjoy 25% off rental vehicles from Alamo Rent A Car and National Car Rental. • Cardholders also receive bonus CashBack when they use their card at Shell location in Canada. These purchases are limited to a maximum of $2,500 for each monthly billing cycle. • The extended warranty feature on this card means that the manufacturer's warranty will automatically be extended for up to one full year, so there's no need to purchase additional warranty. This translates to big savings. • With this card, your purchases are protected against damage or theft for up to 90 days of the purchase date. • Additional cards are free. As such, you can consolidate your spend among family members and earn more cash back. • There is no annual fee! • The 19.9% interest rate is pretty standard, but it's not exactly impressive. • The amount of cashback might not be as lucrative a deal as a credit card that offers higher cash back return, Airmiles or other rewards. Cardholders must consider what they want and need before making a choice. Who is this card best suited for? In order to qualify for this card, you need to be of legal age in Canada. This card is great for those who aren't particularly interested in travel rewards but would much rather earn cash back to use as they please. To maximize the cash back reward, cardholders should use this card with discretion and pay off as much of the bill as possible each month. The best way of earning cash with this card without having to pay a lot of interest is by only spending what you usually would with your debit card each month. It is also a good practice to add your reoccurring monthly bills like cell phone, hydro, cable and others, as you will earn 1% as well. So, you can run all of your expenses through your card (in order to maximize the earning potential) and pay it off at the end of the month. As with any other form of credit, regardless of the limit the bank offers, cardholders should always enjoy their credit responsibly and never spend more than they can afford to pay back. By keeping your balance at zero, you won't have to worry about paying interest. Use our free tool at Wallet Savvy to compare this and other cards to find the right financial solution for your spending needs. We give this card two thumbs up as it offers unlimited cash back reward at constant rate of 1% with minimal fine print.